Professor Louis Davies received a BSc Hons from the University of Sydney in 1948 and was awarded a Rhodes Scholarship to study plasma physics at Oxford University, for which he received a DPhil in 1951. Returning to Australia in 1951, he joined the Division of Radiophysics of CSIRO as a Research Officer. At this time the CSIRO Division of Radiophysics was on its way to achieving a world reputation for radio-astronomy. His initial work applied his plasma knowledge to studying microwave noise from the sun, but the Divisional Chief, Dr Taffy Bowen, later suggested that Lou shift his attention to the ‘newfangled transistor’. The transistor was invented at the Bell Telephone Laboratories, just at the time Lou started his studies at Oxford. It turned out to be one of the most important engineering inventions of the twentieth century and resulted in the award of the Nobel Prize to William Shockley, John Bardeen and Walter Brattain. Bowen sent Lou to Bell Labs for what was planned as a two-week visit in 1953. During his visit he spent time with the inventors of the transistor and started to build up contacts with other laboratories in the US, including at General Electric. The planned two weeks became six. He became fascinated with the refining of germanium, which was then the principal material for making transistors and the material in which the first transistor was made. In 1954, with Dr Brian Cooper, he set up a section in CSIRO that was to pioneer the manufacture of transistors in Australia. In 1956, Lou also spent some months in New Delhi as a UNESCO Technical Expert. There he worked, together with other overseas scientists, with the Indian National Physical Laboratory, to foster the growth of local expertise in semiconductor technologies. 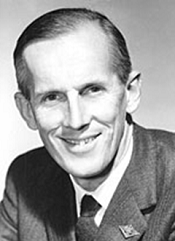 In 1958, Lou was awarded a Commonwealth Fund Fellowship which allowed him to return to Bell Labs and work for twelve months on semiconductor physics. The Bell Telephone Laboratories, with a staff of 15 000, represented one of the most powerful forces for innovation in electronics and telecommunications at the time. Lou joined a basic research group at Murray Hill which itself had a research staff of 150, and published a large number of papers on zone-refining and semiconductor devices. Zone refining became a key process for achieving the required levels of purity in semiconductor materials. The physics of what happens during this process is complex and requires special mathematics (confluent hypergeometric functions) to describe it. On looking back years later, Lou regarded his research into zone refining as one of his most rewarding mathematical and scientific achievements. Among the publications from that era was a book: Davies L, Cooper BFC, 1953, The Transistor, CSIRO Radiophysics Laboratory (Sydney), 93 pages. This was possibly the first book in the world on this topic. Six years after the semiconductor laboratory was established at CSIRO, Lou began an involvement with Amalgamated Wireless Australasia (AWA) that was to continue for 35 years. This was to be followed, five years later, by a joint appointment with the University of New South Wales and meant that, for the greater part of his professional life, Lou was pursuing two parallel careers. AWA was the largest Australian-owned electronics company and its Chairman, Sir Lionel Hooke, approached Lou to join the company and lead it into the semiconductor era. He was appointed Chief Physicist in 1960. At that time it was almost unheard of for a scientist to leave the special environment of CSIRO to work in industry. The fact that Lou did says something about his creative nature which, in turn, enabled him to build some pioneering links between sectors of the economy. A full account of the life and achievements of Louis Davies can be found in the Sources below. Rigby GA, 2003, Biographical memoirs: Louis Walter Davies 1923-2001, Historical Records of Australian Science, 14 (4): 529-539. Australian Academy of Science – http://sciencearchive.org.au/fellows/memoirs/davies.html]. Craig DP, 1999, Interviews with Australian Scientists: Professor Louis Davies 1923-2001 Physicist. [Australian Academy of Science – Biographical Memoirs – Louis Walter Davies 1923-2001].